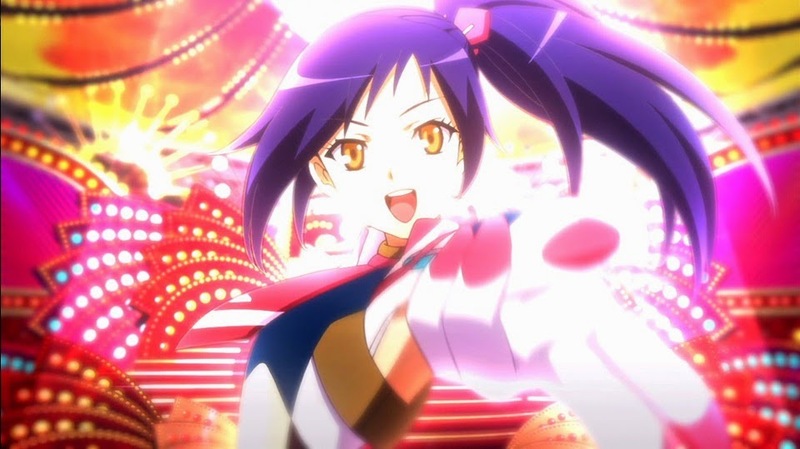 JRPG Jungle: JRPG Jungle's Top 5 Games of 2014! JRPG Jungle's Top 5 Games of 2014! Happy holiday season to all! Since 2015 ends very soon (a mere few hours for me), this means the beginning of a new year and most importantly for anyone reading this, new games will be coming soon (cough Persona 5 cough)! But this year was also full of some unforgettable games, so before the year is done, I think it's only fair to remember them. Here are my top 5 games of 2014, all released this year! Enjoy and leave your own list below. Admittedly I haven't owned Freedom Wars for much more than a month, but it has taken over my Vita quickly enough in a short amount of time to make this list. In Freedom Wars you are granted a 1,000,000 year prison sentence for rudely losing your memory and thus wasting resources. One may think this game centers around chipping away at that sentence and in some ways it does, but more of the game is about your character's experience in the Panopticon and the missions you partake in to protect it. Your goal is to be a valuable resource to your Panopticon and this fast-paced third-person action JRPG makes it fun with its challenging abductor enemies, use of shooting mechanics and the unique thorn mechanism which allows your to drag down enemies or climb to a more advantageous shooting point. 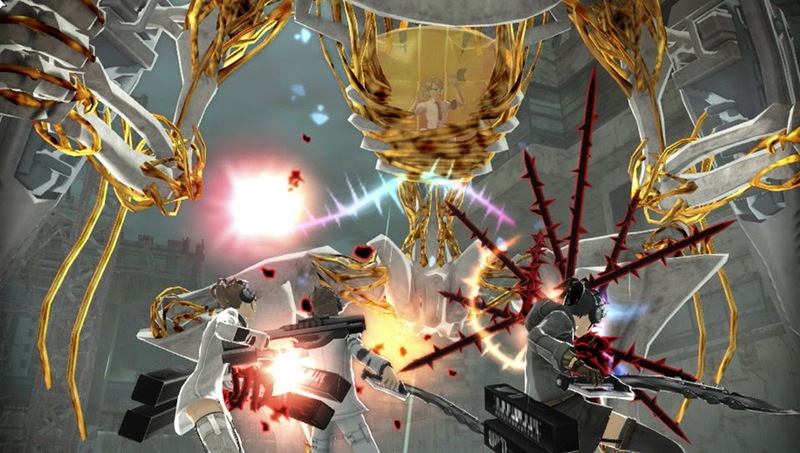 Partnered with the amusement gained from getting a 10 year prison sentence for being silent for too long, Freedom Wars is a worthwhile addition to the action genre. Available for purchase at Play-Asia. Final Fantasy X as a standalone game is one of the must play JRPGs for all fans of the genre, for many reasons. The refined turn-based battle system, Tidus and Yuna's love story and the conflicts between life, death, religion and a world that needs saving make this game stellar. Throw in some HD visuals, an updated soundtrack and X-2 and this HD remaster is worth playing the game again to remind yourself of just how good it was. The HD remaster includes trophies, the international content from both X and X-2 (Eternal Calm for X and the ever-so-fun strategy Last Mission for X-2) plus a new slice of story in the form of Final Fantasy X -Will-. Missed out? Don't worry, it's coming to PS4 in Q2 2015. Available for purchase and PS4 pre-order at Play-Asia. Nothing has caught my eye in a long time like Ar nosurge's stunning trailer and it seemed like a game I had always dreamed of. Although its production wasn't the most polished, Ar nosurge has a strong cast with a passion to build a brighter future for their planet and its people. Its battle system is also highly addictive and if you enjoy games such as Persona which have social sim elements, the Genometrics system and its visual novel feel are rather enjoyable and in-depth. New Years Resolution? Learn enough Japanese to play Ciel nosurge (its untranslated prequel) and hunt down a physical copy of the the breathtaking soundtrack. While I haven't fully finished the story, the P4 side of Persona 4 Arena Ultimax has me hooked and ready for the rest (I'm only putting it off so I can finish Persona 3 and the original Arena game). I feel strongly about mentioning this game because between me and my partner, it is our most played game in the house. 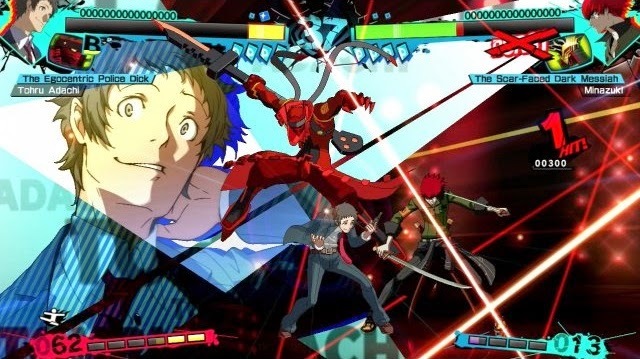 Arc System Work's games never seem to disappoint in giving a slick and unique battle system and with its roster including more Persona characters plus game changing Shadow forms of nearly all characters, fighting game fans and Persona fans need this game. 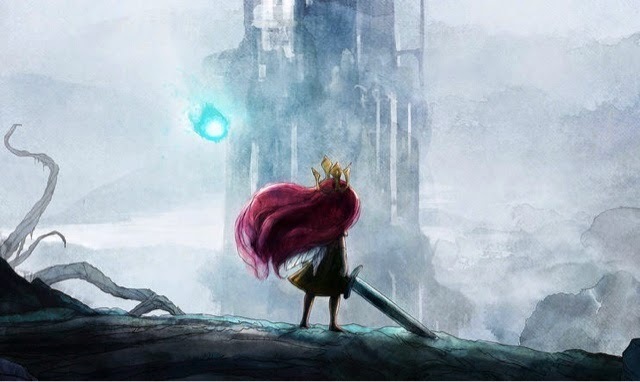 While I write about mostly Japanese RPG games originating from Japan, Child of Light is at its roots heavily inspired by games such as Final Fantasy VI and plays like a JRPG and was the most innovative game to come out in the genre this year. Simply put, Child of Light takes the beautiful visuals, touching story elements and turn-based systems of a JRPG but only takes the cream. The game is innovative by taking the battle system and turning it into a perfect balance of active and turn based and the story and music made me feel like I was inside the best story book I've ever read. It's a must play for fans of JRPGs and great games alike. Currently available PRETTY DARN CHEAP on Steam. Hyperdimension Neptunia: Producing Perfection for making me giggle and being one of the few localised Idol games this year. Persona 4 Golden for being my first platinum trophy. Conception II for making me forget I'm playing a dating sim and subsequently making me feel shameful once I remember that fact. Final Fantasy XIV: A Realm Reborn for showing me MMOs can be super fun and can take up my entire annual leave period. The hilarious touch mechanism added to a lot of Japanese games. THE WONDERFUL GAME STUDIOS, LOCALIZATION STAFF, DEVS, STAFF AND PUBLISHERS WHO KEEP US GAMING! Happy 2014 everyone. Let's make 2015 even better.